Currently Listening To: Misty Menace, from the game Donkey Kong Country. (eerie song by the way. Imagine walking through an abandoned, foggy mine). So for Camp NaNoWriMo, I think I’m going to do this one cold. No outline. I’ll just have a little cheat sheet with character names, important places, and other details. I’ll let the plot write itself. I’ll try to post daily, but I’m not making any promises. So it’s late here and I felt like blogging. Hearing someone say “hello”, “hi”, “good morning”, etc. to me. Now you might be thinking about how is this even ridiculous or unimportant. In this day and age, everyone’s in a rush. We have to catch the next train. We have to attend the 8AM meeting. We have to drop our kids off for tennis practice. We have to pick up our carryout dinner before it gets cold. We have to catch Game 7 of the NBA Finals. We have to finish creating our cosplay costumes for Otakon this year. We have to charge our smartphones or else we’ll miss that important text. I’ll admit, I’m guilty of this too. It doesn’t help that often I’ll have my headphones on so I’m drowning out everything around me. But on the days I’m more alert to my surroundings, nothing beats hearing a “good morning!” from a friend or stranger. I can’t tell you how many times I’ve had a bad start to the morning, only to get a cheery greeting from a co-worker or an old friend. It works wonders. The mere fact that they are taking potentially precious seconds from their day to greet me is enough to cheer me up from anything. So what about you all? What unimportant or ridiculous thing makes you happy? Or you could try one of the prompts? If you’re a deadlock or made of wood, you’re safe. P.S. One more week till Camp NaNoWriMo! I feel my wonderful readers don’t really know me. So to shed some light, I’ll post 5 random facts about myself! Despite my love for video and computer games, I have never played World of Warcraft, Starcraft, Diablo, etc. However, a lot of my friends play those games, so I often come off as someone who plays those games on a regular basis. I don’t eat beef (on purpose). Parents never ate it, so I never ate it. Despite not living at home, I don’t have craving for steak or cheeseburgers. However, put some tender lamb or crab legs in front of me and I’ll be stuffing my face. I’ve been on the news. Not because I was a wanted criminal, but because local news stations wanted to do a story on the software my previous employer developed. I was only on screen for 2 seconds but it was the best 2 seconds ever! I’m one of those people who gets anxious about stuff like forgetting to lock the car door and will check repeatedly to put my mind at ease. I want to know the secret formula to the Krabby Patty. I’d love to know 5 things about you! 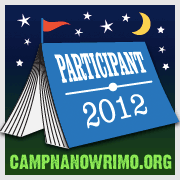 As some may know, every summer there is the event known as Camp NaNoWriMo. It’s a summer getaway for writers who want to challenge themselves or just need a boost. As my writing has stagnated over the past few months, I figure a little competitive word rush will help me out. So what do I need to do to get ready? Clean writing area – there’s no way in hell I can write if my desk is a mess! I left an old soda on the table and it seeped out of the cup. It’s sticky. Ew. Snacks – there will be times where I will be stuck to my desk. I better have some easy-to-eat snacks that can keep me going! Caffiene – I’m a junkie remember? iPod – I cannot write without music. Seriously. Sanity – As much as I’d love to take a whole month off from work, that’s not going to happen. There will be days where I come home from a stressful day of work and I take it out on my computer. I need to avoid destroying my computer! Anyone else here doing Camp NaNoWriMo? So as I was riding home on the train and I kept thinking about the kind of person I am as a writer. What traits do I have that help me out as a writer? What traits hinder me? Ambition: A story is a big idea. You have to have the final product in mind before you can even begin to build it. Creativity: From characters to worldbuilding, imagination forms the building blocks of your story. Motivation: You have that great idea? Awesome, now get to it. Writing is a big commitment. There will be days where you don’t feel like doing it. Too bad, you still have to write. Meticulosity: You can’t gloss over your fourth draft and say it’s good to go. Sit down with your red pen and tear that manuscript to pieces. Some call it crazy, but in many jobs it pays to be mindful of the details. Perseverance: You will fail at some point. Anyone who says otherwise is a liar. You will face rejection. You will face harsh criticism. You will lose chapters due to a power outage. Can you get back up and continue? Sanity: Yes I know we all can be crazy sometimes. But there will be times where you will have to keep your cool. And after all, you are human. Writing a novel shouldn’t be impossible, so don’t make it so difficult that it’s only for the insane. So how would I rate myself? Ambition: 10/10. I like to pursue goals. I can’t stop thinking about how the final product will look. Creativity: 8/10. I will spend days researching and sketching out my characters and my worlds. I think of all the experiences and sights that are tucked away in my brain. Brainstorming sessions are a must for me. Motivation: 6.5/10. This would be higher but lately I keep slacking on actually writing the draft. Fortunately the coming weeks will give me some fuel! Meticulosity: 6/10. Arguably this is my weakest link. While I spend a lot of time on the details of my characters and worlds…I don’t do it enough in my story. This leads to many plot holes and messy drafts. Perseverance: 8/10. I’ve already gotten rejections for short stories, so I’m use to it. Hurray for thick skin! Sanity: 7/10. I’m crazy enough to write a novel. I do have panic attacks over the smallest things though, so I try to keep it together when writing. In summary: I’m ambitious and full of ideas, but lack some of the finer traits needed to be truly successful. Doesn’t mean I can’t improve! What do you guys think? Am I missing something? How would you rate yourselves? This post is part of Absolute Write’s May 2012 Blog Chain. This month’s theme? Zompocalypse Now! I whipped up a quick little piece. Take a read! Zacky placed the remote charges on the stone door and hid behind the thickest pillar he could find. He detonated the explosives, gripping his rifle as tightly as he could. The ground shook and smoke filled the air. The solid barrier was nothing more than a maw after the explosion. Dark pill bugs and other crawlers were the only witnesses to Zacky’s vandalism. “It’s about time,” he said. He looked over his shoulder, wishing his comrades were alive to see this. Zacky turned on the rifle’s flashlight and stepped inside the hole. The chamber was much cooler than the entire temple, to the point where Zacky was shivering. He traversed cautiously in the dark room. There wasn’t a single trap set out for him. In fact there wasn’t anything in the room. “Where is the elixir? This is the final room,” Zacky said. He waved the flashlight towards the ceiling, hoping the prize was on top. There wasn’t anything there either, not even a crack or a critter. “All that…for nothing?” he said. He snarled and fired his rifle around the room, ruining the pristine condition of the room. Zacky finished his venting and walked out of the room. With nothing left he began retracing his steps out of the temple. He heard a distant splash. He took a deep breath and reloaded his rifle. He approached the other end of the room and peered out the entrance. Down the hallway were four humans walking towards him. He recognized them and nearly dropped his weapon. Matt, Gerald, Boris and Chelsea? How are they alive? he thought. Zacky looked back at the chamber he desecrated earlier. “Perhaps…the elixir was released when I opened the chamber?” he said out loud. He then began walking down the hallway, increasing his speed as the figures became more clear. He stopped and froze as the figures approached the flaming torches. The figures stopped walking as well. Their skin was a dark purple and their flesh was rotting off. The irises of their eyes were gray and void of life. Instead of their voices, Zacky heard bloodthirsty growls. Before he could react, his former friends grabbed his arms and placed him on the ground. The female zombie licked her teeth as she picked a spot to bite. “No don’t! Someone help me!” Zacky yelled. Just before the zombie could bite him, he broke free and kicked the zombie away. He grabbed his weapon and ran down the hallway. He shot at the zombies, hoping to slow them down. They were heavily wounded. Did this virus heal them too? Zacky thought as he entered another room. The traps had been deactivated or already sprung so he was able to escape quickly. Soon he entered a room with a deep pool. Walking across a thin bridge suspended a few inches above the water was the only way to the next room. Zacky held onto his rifle and slowly walked across the pool. He remembered there were vicious fish in the waters. Hopefully they got to the victims in the water before the virus did. Just as he crossed the halfway point, he heard bubbling. He spun around and fired into the water. Nothing floated up. Zacky shook his head and continued walking. Something suddenly grabbed his foot and he fell to the ground. He managed to stay on the bridge but his rifle fell into the water. He turned his head and saw a purple, decaying hand grabbing his boot. Zacky repeatedly kicked the hand off using his free leg. Soon the hand fell back into the water. Zacky got up and stared into the water. He couldn’t make out the figure. He reached the sun chamber, where rays of light shined from the ceiling into the room. He decided to take a moment to catch his breath. “Is anyone here? I need help! Please!” he said. He was panting as he looked all around the room, hoping to see someone crawl out of a corner. He was alone. A familiar growl caused him to whip out his pistol and point it at the monster behind him. It was the female zombie. “Chels…” he said, slowly moving back. The zombie kept lurching forward, hungry for Zacky’s blood. He held back tears as he pointed the pistol at her head. The zombie wasn’t intimidated. It knew nothing other than hunger. “Please Chelsea. It’s me, your little Zacky,” he said, looking at her, then at the engagement ring on her rotten finger. His face was soaked with sweat. Zacky’s eyes widened when he realized he was cornered. The zombie had a slight grin on her face. Zacky closed his eyes and fired his pistol. A perfect shot to the forehead. The blood-thirsty creature fell to the ground. Black blood poured out of the wound. The smell made Zacky somewhat nauseous. He didn’t hold back, as the thought of killing his fiancee was more than enough to make him vomit. Once he was able to stand on his feet again, he continued running out of the temple. The sun chamber was right near the entrance. Zacky could smell fresh air. He ran outside, where a spaceship was sitting. A rival group had landed first. Without waiting, he ran inside. He found the control room easily. He sat down where a guard sat before Zacky killed him to prevent the others from leaving. Zacky quickly turned on the engines, preparing for takeoff. He took one last look at the temple, which sparkled as the sun was at its peak. Soon the ship took off, blasting into the sky. He held on tight as the ship cruised through the atmosphere and into space. He had escaped. He won. But Zacky’s relief soon turned to horror. Where’s the body? he thought. Check out the other participants! I was going to start writing yesterday. Too bad my wallet went missing. As in it was nowhere to be found in my house. The day before yesterday, I knew I had it before the bus ride home. I made a call to the lost and found for the buses and waited for a call back. None came. At that point, I told my managers I had to work from home. No way I could get around without any ID. I was beginning to yell at every little thing wrong. Eventually I calmed down and focused on what to do. I called the banks to cancel my debit and credit cards. I then called other credit card companies I have cards with and canceled those. I worked for a few hours then got a ride to the DMV to get a new license. Then I went to my bank to get a debit card so I could have access to my funds. 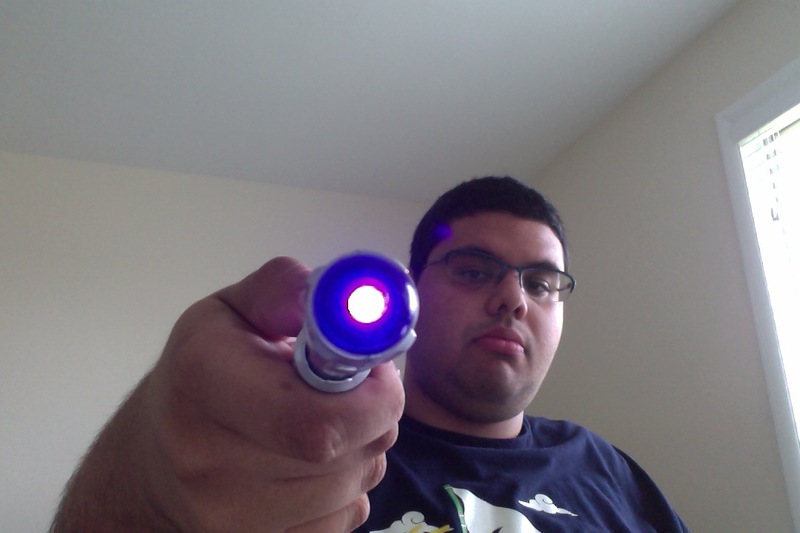 I then filed a police report…well more like a cop came to my house and took my information. Finally, I notified the big 3 credit bureaus and they placed a fraud alert. This way, if some punk tries to take out a loan in my name, they’ll have to produce some legit ID (and they’ll call me to verify I am actually applying for credit). Most stressful day I’ve had in a while (it doesn’t help I panic easily). Fortunately the initial shock has worn off and everyone I called was very, very helpful. I still have some things left to do, but the major items I took care of. It’s important to minimize damage done! Hopefully I can get to writing! Also, make sure to do all the things I listed in case you ever have to go through this ordeal!